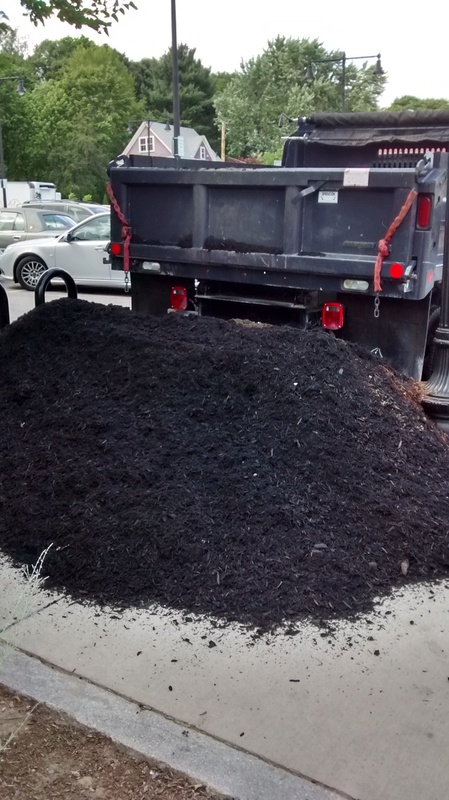 Our thanks to Landscape Express on American Legion Highway in Roslindale for their generous donation of 3 cubic yards of (Black Forest) mulch delivered to Taft Hill green space in Roslindale Village. 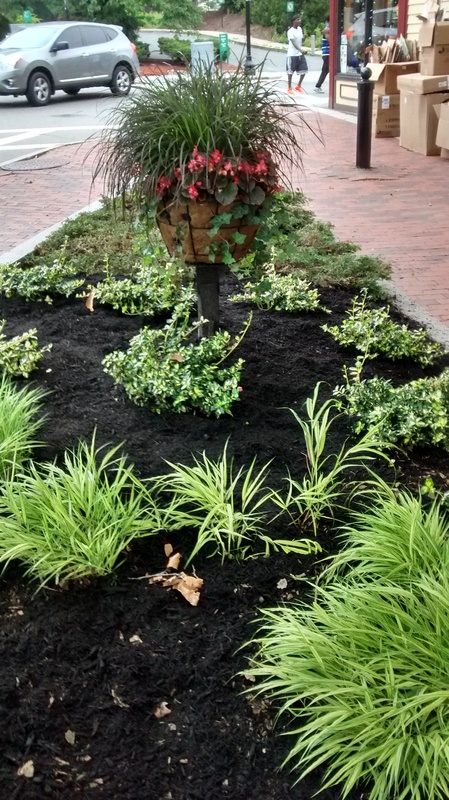 Thanks to City Councilor Tim McCarthy, who requested the donation on behalf of RG&C. 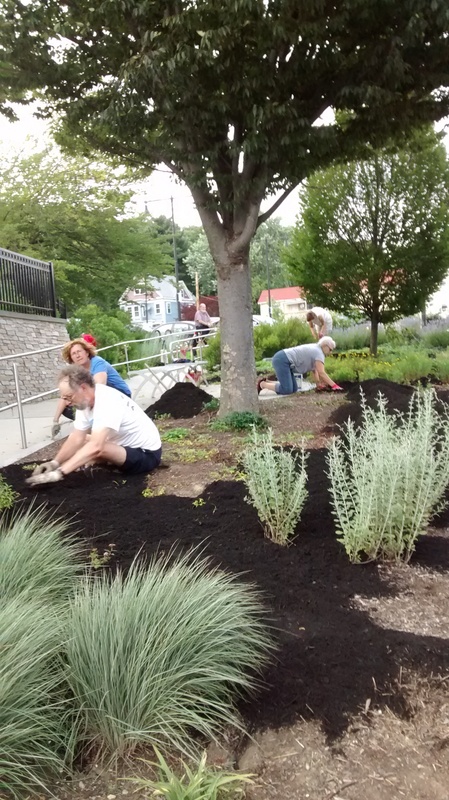 But we couldn’t have put the mulch to good use without all the RG&C volunteers who shoveled and spread it at Taft Hill Terrace and Savage Mini Park. Thanks to all involved, both sites look great! 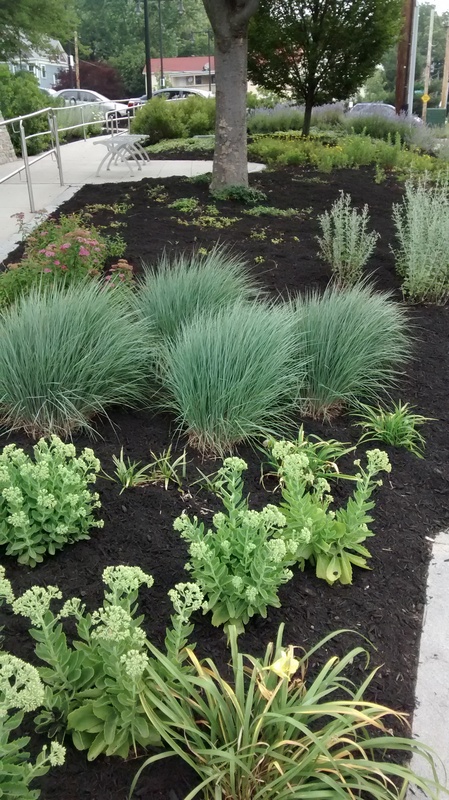 the mulch now enhances the look of the Taft Hill green space, helps keep down weeds, and helps retain moisture in the soil for the plantings. Landscape Express’ generous donation let RG&C mulch a large swath of Savage Minipark along with all of the Taft Hill green space.